When I was younger, it wasn’t uncommon for my Mom to find me still awake at 2 a.m. and unable to sleep. Now, at 34 years old, I am still heavily prone to those same issues. Up until this past year, it wasn’t unusual for me to watch the sunrise each morning or to go 24-36 hours without sleep. After years of not sleeping correctly though, I knew that I had to do something and started looking for and trying different home remedies for insomnia. It took me forever to come up with one, this DIY Lavender Sleep Balm, that worked and worked well. Lavender is, in my opinion, one of the most versatile flowers or essential oils available. It is anti-inflammatory, antifungal, antidepressant, antiseptic, antibacterial and antimicrobial which makes it great for cleaning, first aid, aromatherapy, and so much more. 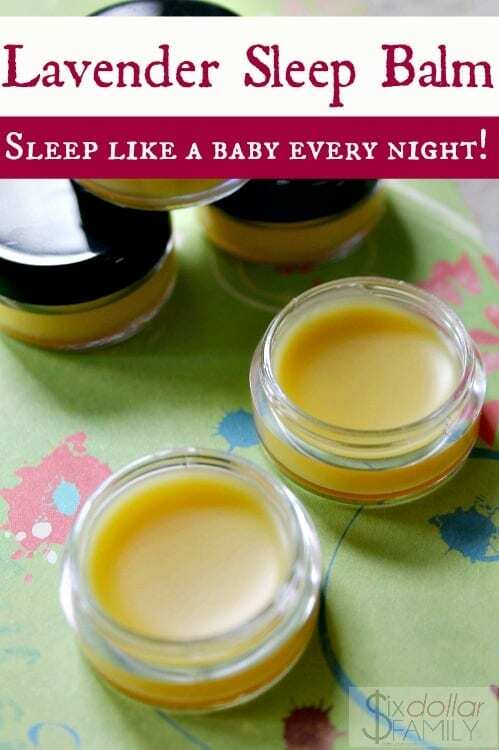 It is great for diaper rash when used in a homemade diaper rash cream, great for cleaning when used in a homemade all purpose cleaner, works fantastic in homemade deodorant and yes, in amazing in this DIY sleep balm. The problem with a balm that only has lavender in it is that they may not be strong enough to put someone who has severe sleep issues to sleep. With this sleep balm, that isn’t an issue. In addition to the lavender in this, you’ll also find frankincense, cedarwood, and vetiver essential oils. They all blend well with the lavender to create a calming and soothing balm that will put you right to sleep each night! If you’re anything like me? You won’t need to look for home remedies for insomnia after you make this. You’ll have found what works for you! Sure, I could have bought an over the counter sleep remedy, but in 2015 when we started looking at things to stop buying and make so that we could cut our budget, I kind of took on the attitude that if I could make it, there was no reason to buy it. As a result of that attitude, we now have over 60 things that we stopped buying and started making homemade. We add to that list every few weeks with things like this DIY lavender sleep balm. It has helped us to cut our budget significantly. When you make your own batch, you can use any brand of essential oils that you want. I personally prefer to use NOW Foods Brand essential oils, but as long as they’re pure oils and aren’t cut with a carrier oil, you should get the same results that I have had. I like how NOW Foods are pure oils (unless you buy a specific blend) and how affordable they are. You can make this up ahead of time in batches, but if you do, make absolutely certain that you store it in a dark, airtight container. 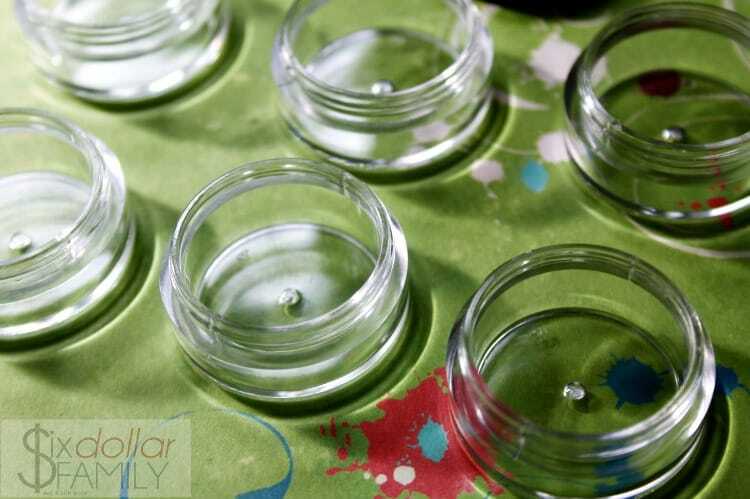 Clear containers will cause the oils to lose their effectiveness quickly and storing it open can cause it to dry out quicker. 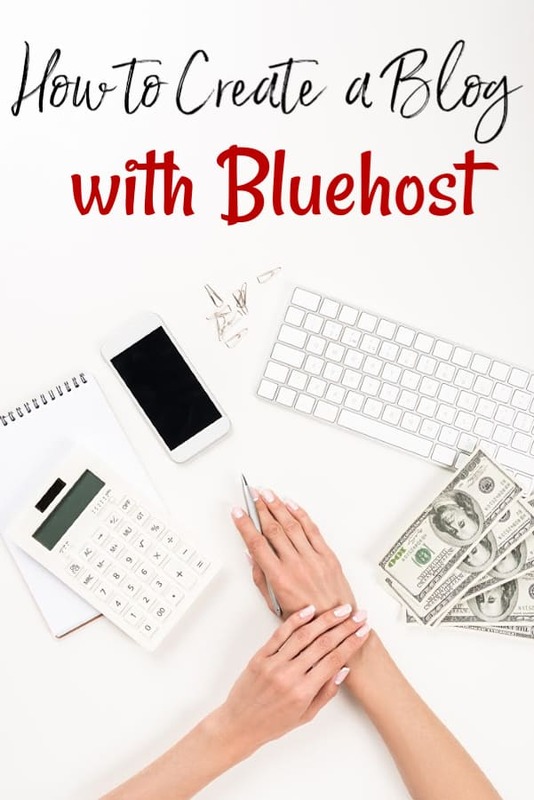 This recipe makes around 3 ounces and can be stored on the shelf for a couple of months with no issues. If you want to store it longer than that, I suggest adding a few drops of Vitamin E Oil to act as a preservative. Start by melting your beeswax. You can either use a double broiler, a small pot (dry) inside of a larger pot filled with water or in the microwave. If you use the microwave, please be careful not to burn yourself since beeswax melts quickly and hot. 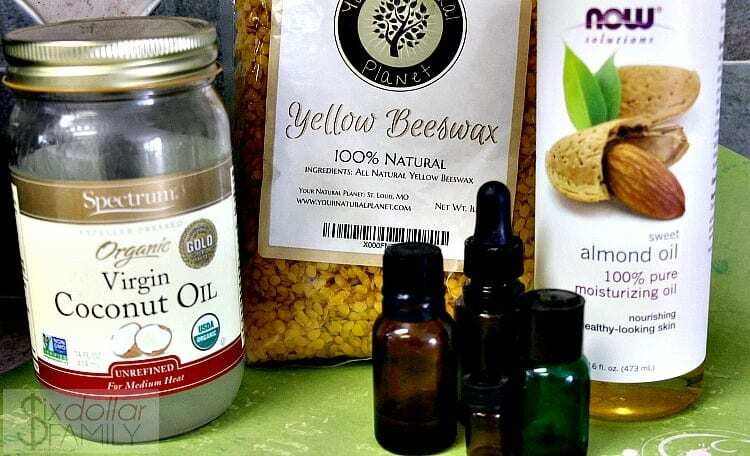 While the beeswax is melting, measure out your coconut oil and whatever “other” oil that you’re using and have them ready. The coconut oil will tend to harden up in the container, especially in cooler temperatures. If that happens, pop it in the microwave for 10-15 seconds to loosen it back up if needed. 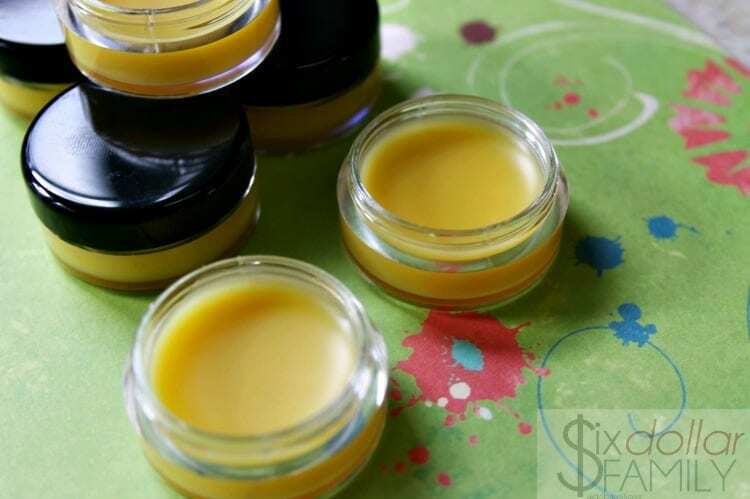 After you’ve got your carrier oils ready, get your containers all set to be filled so that once your sleep balm is ready, you are able to fill them quickly without having to leave the balm on the burner longer than necessary. I like to use the smaller lip balm containers since they are usually enough for a week or two (depending on how often I use it) and don’t take up a lot of room on my night stand. I don’t make batches up ahead of time so I’m not too concerned with needing a dark container. 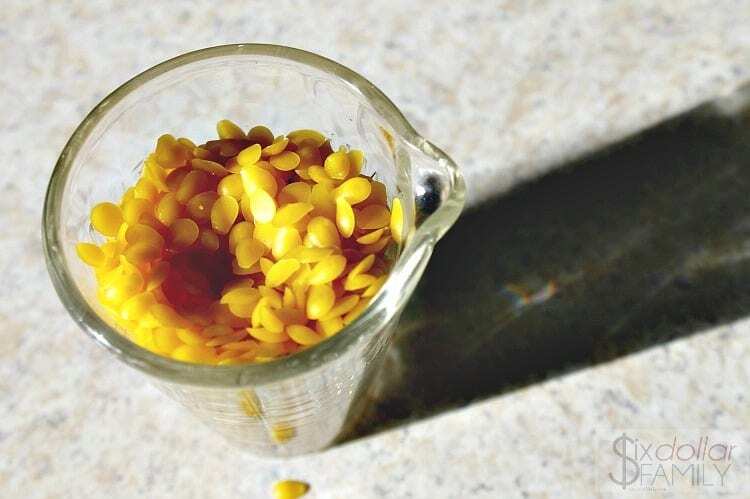 Once the beeswax is melted and clear, add in the coconut oil and give it a good stir to melt it fully. Next, stir in the other carrier oil that you’re using and stir well. You’ll want to stir and blend it well enough that there aren’t any lumps of beeswax or coconut oil that form. Allow your mixture to cool for a minute or two. You don’t want to let it cool too long or it will harden, but you also don’t want it to be scalding hot either. Too much heat will kill the essential oil properties so just use your best guess. I usually allow mine to sit for about 60 seconds. After you’ve done that, add in the essential oils then stir it all together. I like to use a rubber spatula to mix it all at this point. It allows me to make sure that I’m getting even the stuff on the sides of my pot mixed in. When you’re adding the oils, be mindful. Cedarwood, lavender, and frankincense tend to be on the watery side which means you could easily add more than you intend to. On the other hand, myrrh and vetiver are the opposite and they are very thick and sticky because of being resins. 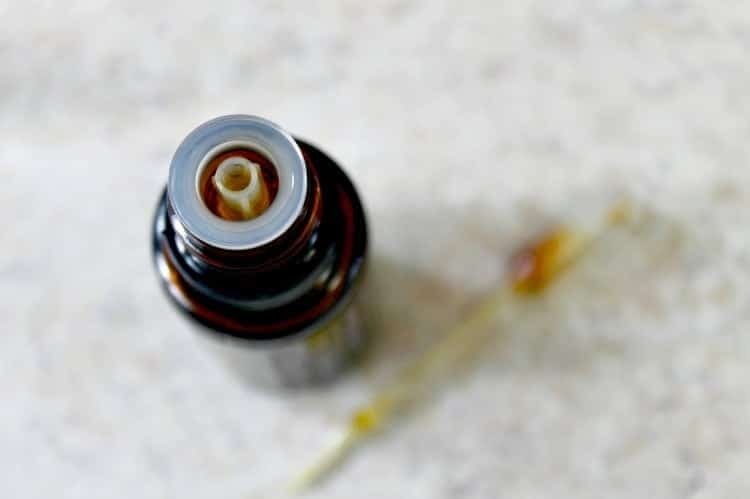 If you can’t get them to come out of the bottle quickly, you may need to pull the top orifice off of the bottle and use a plastic pipette to get the amount that you need out. 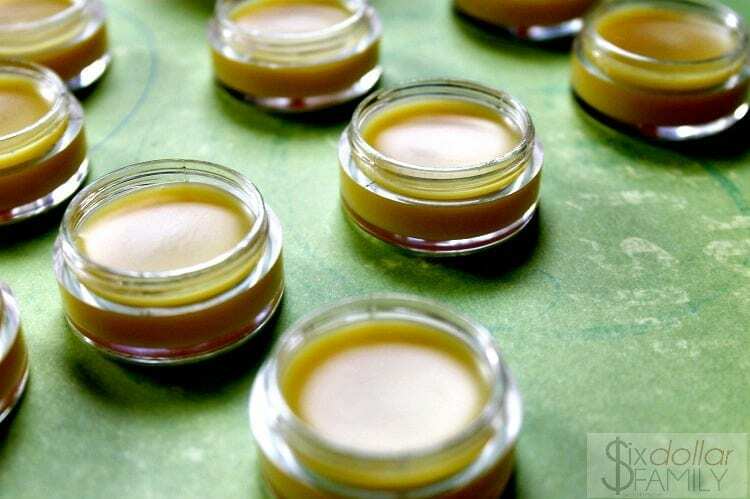 Once the oils are mixed in, fill your lip balm containers with your DIY lavender sleep balm. Pour carefully and take care not to spill since it will start to set up almost immediately. They will need to sit, with the lid off for several hours to fully harden. If you close them too early, they will develop moisture on the outside. Before you put the lid on them, make sure that they middles are actually set up and cool since that area can stay warmer for much longer. Once they’re cool, you’re good to go! Put on the lids and get ready to sleep well! To use, apply a small amount to your temples, back of your neck, wrists and even a dab under the nose or on the pillow will help. I can’t wait to try this. I survive by badger sleep balm but I wanna cut costs.